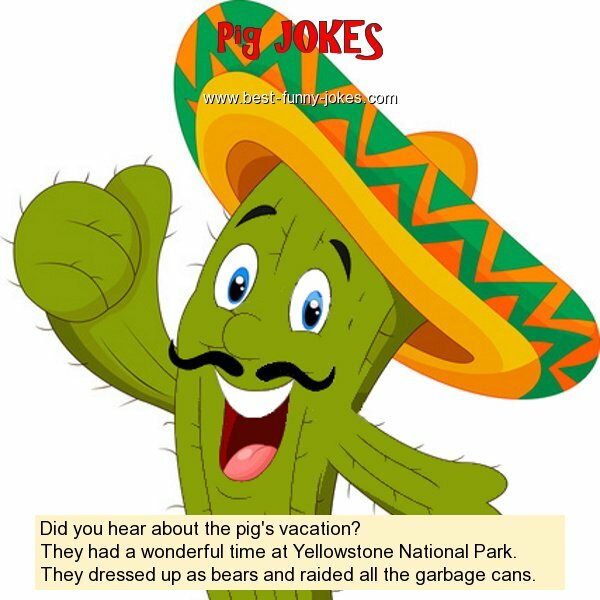 Did you hear about the pig's vacation? They had a wonderful time at Yellowstone National Park. They dressed up as bears and raided all the garbage cans.